The Black Jade collection by Roberto Coin presents this striking necklace. 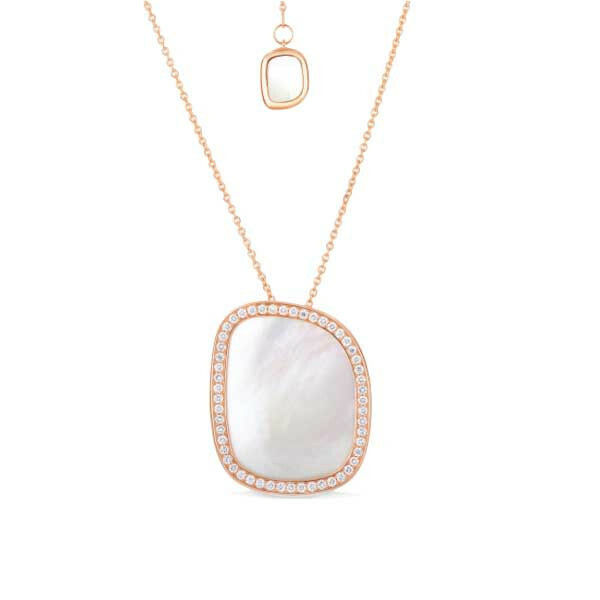 The asymmetrical lines of a square shape are fashioned in 18kt rose gold and beautifully frame a luminous mother-of-pearl. A subtle Art Deco-inspired piece, the pendant dangles elegantly from an adjustable link chain. This Roberto Coin necklace is bound to become an integral part of your look.